Home » Literature » Emoji Shakespeare – Can you Guess what the Shakespeare Quote is from these Emojis ? Shakespeare’s plays and quotes are always a good source for visio-cryptic style quiz questions. 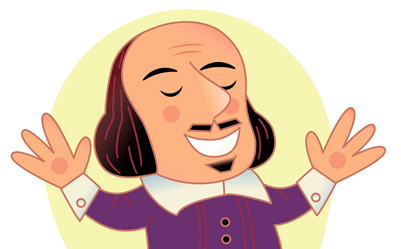 So in this article we’ve gathered together some cryptic Emojis we found floating around the internet, so see how many of Shakespeare’s eponymous quotes, or names of his plays you can name.